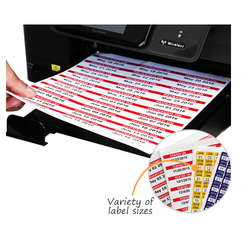 We offer a variety of labels that include product labels, security labels, barcode labels, pharmaceutical labels, sequential numbering labels, price marking stickers and more. Our adhesive products are reliable, durable, moisture resistant, dimensionally accurate, made from high quality paper, superior adhesive, best printing ink and properly laminated. Our company is known for providing high quality labels, for any industry, at an affordable price. 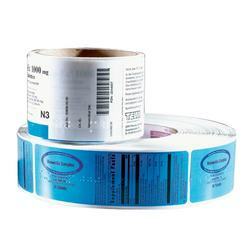 Price marking labels have varied requirements and are usually used in industries and other related sectors. They help to mark prices, expiry and manufacturing dates, and codes. We assure our clients that our price marking labels are very user friendly and can create new ones according to the specification of our clients. Our Price Marking Labels are well known for their proper printing, durability, and high adhesion. To make different products one from the other, barcode labels are used and we have wide range of barcode labels to offer. We modify the barcode labels according to your needs. 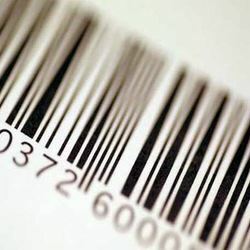 The barcode labels we create are preferred by clients because of their database and printing features, and simple design. The labels also have high adhesion, and are consistent and long-lasting. Using the most modern technology, we create our set of Barcode Labels. Barcode labels are available in a very denison Cromo, TT 2 C, Polyester, Formtech, Void, UDV and many more according to customer requirements. Garment exporters favor Textile Labels so as not to have color variations. We manufacture textile labels in four various kinds of fabric and in ten different colors, which are in the form of ADH, PPH, hard medium and low. 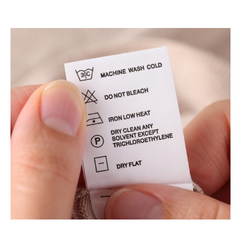 Other than color discrepancy, textile labels help customers to provide information regarding the garments they are about to buy. We assure our clients that our textile labels are made of the best quality materials available. The barcode labels that are usually stuck on an A4 size paper are known as laserjet labels. The laserjet labels can also be printed using a laser printer. For printing the Laserjet Labels, we use the best quality of paper and ink so as to reduce all possibilities of smearing. Other than using the laserjet labels for mailing and address, they are also used on bottles and also water bottles. Packaged medications have Pharma Labels that states names of the medicine and we have a wide selection of them on offer. Our phrama labels come in different shapes, sizes, designs and colors and at the same time you can custom order your own set of pharma labels. Our pharma labels are well known for their high grade adhesive thus ensuring durability, superior ink and paper quality, and dimensional accuracy. Security labels are important especially for transportation of packaged goods to minimize all possibilities of theft. Our security labels are customized to suit your needs; we also have typical ones for the basic needs. They are well known for their durability, dimensional accuracy, and high adhesion and tamper evident self-voiding. 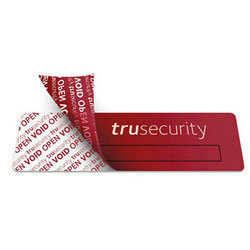 We use the latest and the best of technology to make our security labels making it impossible to duplicate. Labels that make use of a prior printed layout are known as plane-preprinted price marking labels. 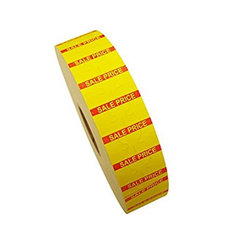 We have wide range of Plane Preprinted Price Marking Labels for our clients to select from. They come in various colors, shapes and sizes and we also custom create plane-preprinted price marking labels according to the specifications of our clients. We do not compromise on the quality of the ink or paper that we use for the manufacturing of these labels. Products labels are used to tag pharmacy products and also food products. The best advantage of products labels is that it can be frozen to any temperature but will also remain fine at a very high temperature as well without being compromised. 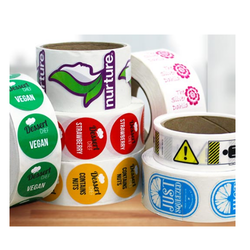 We have a wide range of products labels that come in different shapes, sizes, designs and colors and at the same time you can custom order your own set of products labels. 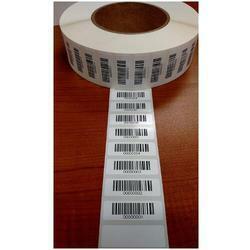 Looking for Barcode Labels ?